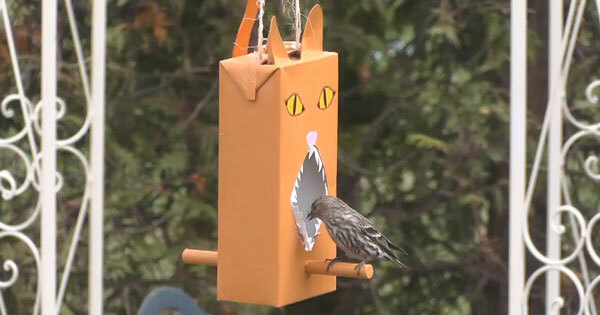 Hard to believe, but this is the model of bird feeder that the birds in my garden prefer! 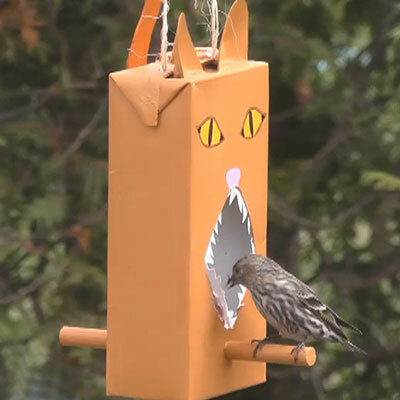 I recycled a milk carton (brick shaped) to make this original bird feeder. It looks a bit like my cat, who has a cameo appearance in this video. The downloadable document contains the list of materials, illustrated instructions, and some pictures of the feeder in use.